Random thoughts about life, Jesus, the Church, and the things most important in this world. That was my first thought…and the first words out of my mouth. It was a day that changed my life. I will never forget it. I had known this man for several years. Successful, smart, funny, deeply committed to his faith in Christ, a teacher in an adult Sunday School class, a leader on the church elder board. He owned a well-known accounting firm and was on the leading edge of integrating technology into his business model. His name is Steve Ocheltree and he had just asked me to be on the finance committee for our church. If you know me now, that may not seem odd, but you have to understand the context at the time. I was young, had long hair (enough to put into a pony tail), wore torn shorts 364 days of the year, worked in the entertainment industry, was prideful, opinionated, was sometimes a punk, and knew little about finances. It was somewhere around 2002 and I had just started my own business. It was paying the bills…but just barely. I had been at this particular church for a long time, but I knew little of church leadership and even less of church finances. But Steve was convinced I needed to serve on the church finance committee. He and his wife took Brandy and I out for dinner. We just assumed it was a “thank you” since we babysat their kids the week earlier. But Steve had other intentions. I was genuinely concerned. 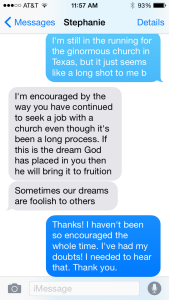 I appreciated his offer, but I really didn’t think this was the position for me to serve the church. I reluctantly agreed…and so started my leadership development. This is how I would have compared my leadership ability at the time of this conversation with Steve. I was convinced that Steve had no idea what he was getting into by choosing me. I was loud, forward, asked lots of questions, gave my opinions, listened little, made assumptions, gave questionable presentations, and ticked off several of the other members numerous times. And Steve just let me go for it. He took me to lunch once a month and we talked about church, finances, leadership, vision, direction and church polity. He asked me how I was doing in my personal walk with Jesus. He asked me what I was learning from the committee meetings. Steve didn’t just fill the open position on the committee, he found somebody who didn’t initially fit…but might with some coaching. He saw a young kid that had potential, was forward thinking and wanted to make a difference but didn’t know how. You can talk a lot about leadership development, but when was the last time you chose a young cocky kid to make a presentation for the department you are responsible for to the senior-most level leaders of your organization? Steve did. He asked me to make a presentation to the elder board on behalf of our committee. It was for a project that ran about $60,000 dollars and under normal circumstances, Steve should have been presenting the proposal since he was the Treasurer and leader of our team. But he asked me to do it. This was a lot of money for the situation and there was much to lose…not to mention my pride and Steve’s reputation. 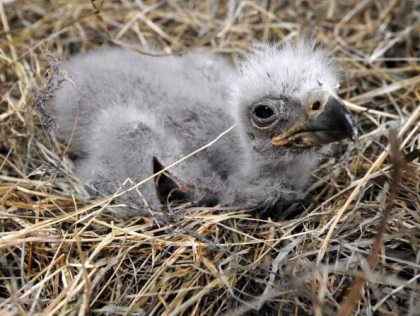 Young eagles are born to fly. How will you keep them in your organization? Leadership development is more than having a Bible study on leadership. It is more than watching an Andy Stanley Leadership Video. It is more than taking some young people to the Willow Creek Leadership Summit. It is more than studying a leadership book with your staff. Leadership development IS leadership opportunity. 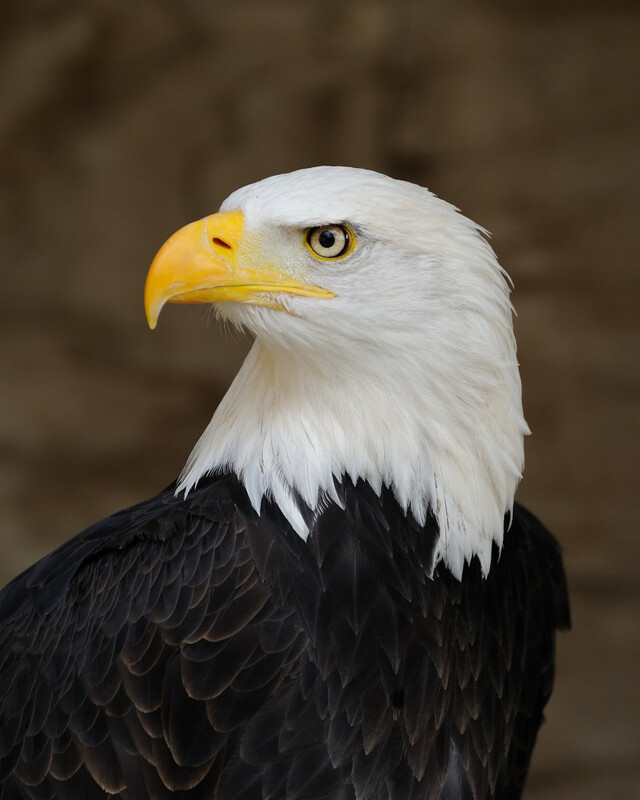 To steal the term from a great pastor/leader, leadership development is about finding the young eagles in your organization and actually letting them fly! Let them make mistakes, be opinionated, ask lots of questions, make assumptions, and tick off a few people along the way. Let them learn by DOING the leadership, DOING the work, DOING the ministry, DOING the business. But guide them. Ask them the hard questions, ask them what they are learning, ask them what is stirring in their faith walk. But don’t just ask for their opinion. Give them the opportunity to actually lead! Looking back, I’m not convinced Steve was ever really able to wrangle me in. But I’m also not convinced he ever tried. He knew I could be a leader…I just needed a push and needed the opportunity. I don’t think he ever imagined just how far it would take me! I served on that committee for two years. Later I was asked to join the elder board and because of my experience with the finance committee, was appointed Treasurer. A year later I was hired by the same church to a full time paid position that involved far more than just overseeing finances. Steve saw something in me I had never seen in myself…my own wings, my own potential. 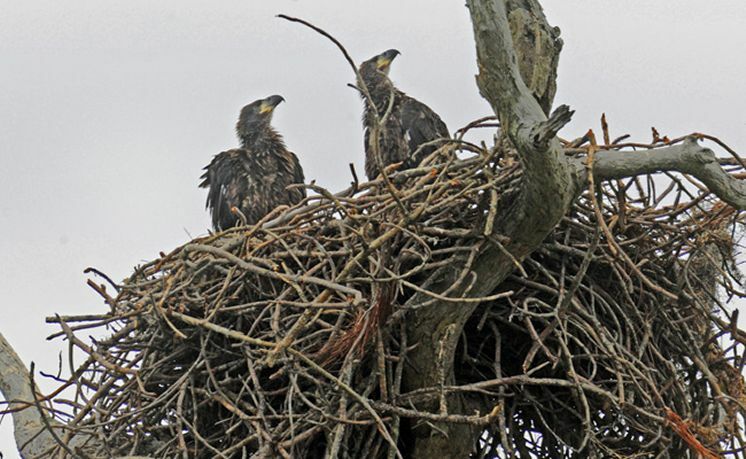 He pushed me out of the nest and hoped/knew/prayed/guided me to fly on my own. This is what Steve saw in me. The importance of leadership development was never explained to me. It was demonstrated to me, handed to me, experienced by me, and asked of me. So who are you developing? Who have you chosen to join your team? Who are you investing in? Who are you giving the chance to actually lead? Steve gave that chance to me and it changed the trajectory of my whole life. What is your favorite cartoon character? Beyond Superman, Bugs Bunny, Mickey Mouse, the Simpsons, Scooby Doo, Winnie the Pooh, and others, none compare to Wile E. Coyote. Wile E. Coyote – The greatest cartoon character of all time. First aired in 1949, Wile E. Coyote has chased the Road Runner across millions of TV screens. He’s dumb, tries the most ridiculous things, reads books that seem to be smarter than him, and occasionally comes near death…or at least should come near death. 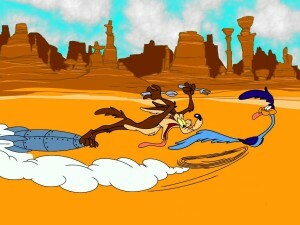 In fact, he never ultimately achieves his goal of eating the Road Runner. Periodically he does catch the bird, but usually due to his own idiocy, his arch nemesis always escapes. So why is he the greatest? Why not Superman or Batman who use their high intellect or super powers and always catch the bad guy within 30 minutes? Even Bugs Bunny and Scooby Doo typically come out on top by the end of the show.Why aren’t they the greatest? 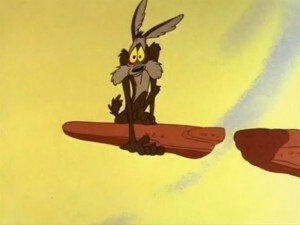 Wile E. Coyote is the greatest cartoon character because he never gives up regardless of his own inabilities. He never gets to the point where the prize is not worth the effort. He never lets his own past failures affect his drive. He never assumes “he can’t.” He always tries new things, new methods, new ideas. Some are crazily stupid, but he is willing to keep trying anyway. His goal never waivers. He researches his opponent. He studies books that will help him understand birds and how to catch a road runner. He reads the “how-to” manuals that come with new bird-catching products and explosive materials. He also risks his life…a lot. 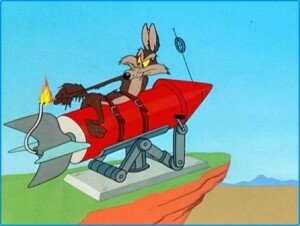 He is willing to get into the cannon that will shoot him as fast as the Road Runner can run. He is willing to climb to the top of the mountain and jump off to catch his prey from overhead. Wile E. is ready to give his life for the cause of catching his victim. If you have watched as many Wile E. Coyote cartoons as I have, you eventually develop the perception that his goal of catching and eating the Road Runner seems to exceed his desire to actually calm his hunger. Sometimes I wonder if the prize of the hunt has become more rewarding that the purpose for which the hunt originally started…to eat the bird! 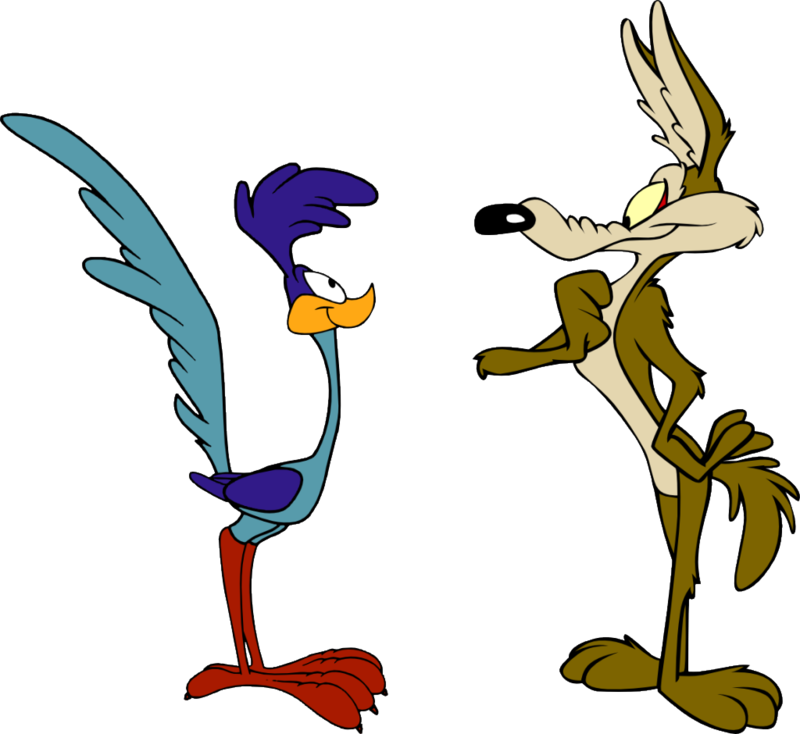 But alas, Wile E. wants to EAT THAT BIRD. So he reads more, studies more, thinks outside of the box more, and nearly dies again. As you watch, you just wonder, why doesn’t he give up and go find another bird? His dream seems foolish to us. It’s because he has vision and purpose and chooses to never give up on his dream. Regardless of his failures, he still presses on. Other cartoon characters rarely (if ever) fail. Rather, they always hit their mark the first time and succeed at everything. They never experience failure, and for the rare instances they do mess up, everything works out by the end of the episode. But life isn’t like that. We have great ideas, try new things, get enamored by the latest and greatest products or methods or ideas or services. And those often fail us. Or we fail to apply them correctly. Either way, failure hits us in the face like a one-ton stone in the desert. Life is full of failures and mistakes. When we keep at the same goal, but try new methods, there’s a greater chance for success. Wile E. never tries the same thing twice. Each attempt is different…newer…crazier…sometimes dumber. But still different. Still trying. Still keeping his eyes on the goal. Keep your eyes on the prize. I’ve been Wile E. for the last couple years. I’ve almost given up on the prize…many times. I’ve wondered what is wrong with me? Why has God not allow my dream to come to fruition yet? Why is nothing working? Why does nobody else see my gifts and abilities and potential? After some particularly discouraging news one day, I got this text from a good friend of mine. Wile E. Coyote’s dreams seem foolish to us, but it never seems foolish to him. He just hasn’t accomplished it yet. It was a well-timed reminder that I needed to hear. My goal is mine alone and between God and me (and my family). My dream, my goal, my target, my hope, my purpose. it hastens to the end – it will not lie. Whatever you are working on, whatever you are dreaming about, whatever you keep failing at, whatever is crazy, whatever people think you are foolish for trying…keep doing it anyway. Just keep trying. Keep reading, keep brain-storming, keep trying new things, keep learning. Learn from those mistakes. Learn from other’s mistakes. Remember what does NOT work and don’t go back there. Always keep moving forward with your eyes on the prize. Failure and disappointment WILL come, but it doesn’t have to be the end. Failure doesn’t have to define you. Find your strength in God who wants to do wondrous things through his children. Unique things, different things, passionate things. But you may hit roadblocks in the process. You may fall off a cliff or get blown up by a missile or run over by a truck or get melted by lava. 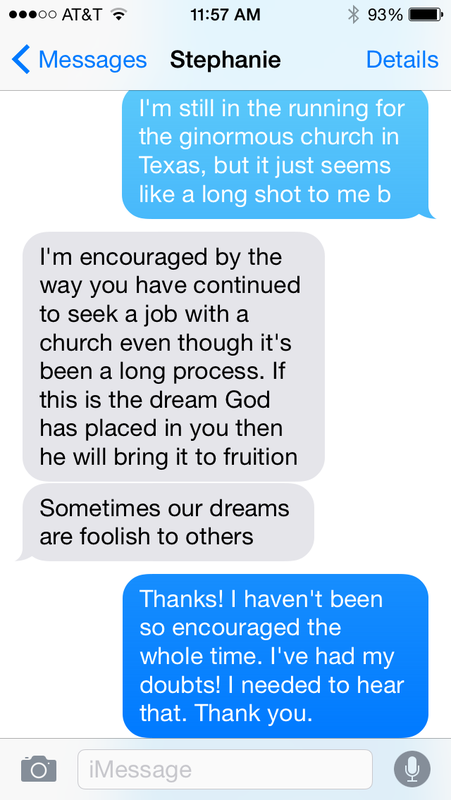 But your dream is still valid, your passion may still come from the God who loves you and gave you that dream. “My flesh and my heart may fail, but God is the strength of my heart and my portion forever” (Psalm 73:26, ESV). Do not give up on God, and do not give up on what He has set out for you. Sometimes our dreams are foolish to others. But they’re not foolish to God if He is the one who gave them to us. It’s your dream, your vision, your passion, your purpose. Go after it you foolish coyote! So who is your favorite cartoon character and why? Leave a comment while I go buy bird seed and build a rocket sled!